Phone Ninja S4 Screen Repairs. Have you broken your Galaxy S4 Glass Screen? Picture no longer display after a drop? 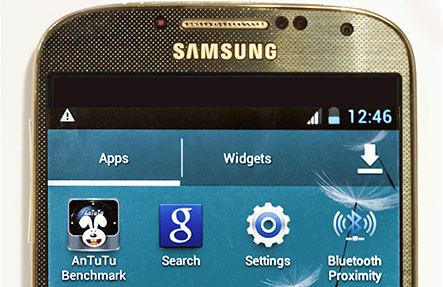 Galaxy S4 Screen Repairs is something that we do all day every day. we offer all types of screen repairs, most notably glass only repairs. glass only repairs save you money as your lcd is salvaged for later use, lowering the price paid by the customer. All S4 screen replacements come with a new frame to keep your phone looking great! As with all our repairs we offer a Perth price-beat guarantee, high quality parts, a full 3 month warranty, and on the spot service, in fact most S4 screen replacements only take 30 minutes! So drop down to our stores in Perth, Western Australia for your screen replacement it only takes 30 minutes or contact us or more info. ** Replaces only the glass on the screen and therefore requires a fully working touch & LCD however due to the process your screen will be traded in for a replacement unit. Unlike other Perth service centres, all fixes are done by professionals in a dust-free environment with only high quality parts used. The frame otherwise known as the bezel which surrounds the screen is often badly scuffed up so we replace it for free unlike most repairers. * Replaces the Screen which means a new touch, LCD, & frame. Perfect for those who have damaged their touch screen or LCD.